I have been re-examining my earlier families and making corrections (citing) when I can. Fanney's name appears with several spellings. I have chosen to use this one so do differentiate her from other Fanny, Fannie, Frances etc in the family, of which there are many. Fanney May was the daughter of William May and Rebecca Osbourne. Through the research I have accumulated I have found various documents that would confirm so. In 1851 they remain in the same town but now on Treligga Street. Fanney now sixteen, is working as a servant for the Keat family on Dalinuth Street. (3) Her employ is for a farmer and his wife and seven children. From a young age it would appear Fanney cared for children, beginning at age sixteen. Visit my blog "The Cornish Migration to America"
I have a date of marriage for Fanney to Richard Knight of November 1 1853 but cannot locate a citing for this yet. However, in 1861,(4) Fanney has married Richard Knight and is living in Bowmanton, Haldimand township, Northumberland, Ontario, with five children, the eldest of which was born in 1854. They are living in a a one story frame house and are of the Westlayan Methodist faith. Richard is listed as a tailor, farmer and the local postmaster and as well, they run a local grocery. As per Richard’s bio the 1878 McGill atlas project has Richard listed as General Groceries, Farmer and Postmaster. It also says he settled there in 1852, which would have been shortly before the May’s settled there. Fanney was from the same district in Cornwall as Richard and perhaps the families knew one another in England. At the least there would have been a kindred spirit for the families once in the new land. It is not unlikely that Fanney having been a caregiver for children in England did not take on the same responsibility once in Ontario, caring for Richard’s family prior to his wife and youngest son’s death. The couple and their growing family are present in the Ontario census’ until 1881,(5)(6) in Northumberland. In 1881 their faith is recorded as Methodist Calvinist. The family would soon leave Northumberland and move to Toronto, which is where they appear in the 1891,(7) census. At this point Richard has taken up tailoring again and his young son Henry is an apprentice. John is working as a farm labourer and Jane and Benjamin are still in school. Frances is living with them along with her four daughters, but her young son does not seem to be present. She had recently been abandoned by her husband. In 1906, Fanney, son John and daughter Sarah Jane can be found homesteading in Drinkwater, Saskatchewan, southwest of Regina. She is listed as the head of the house. 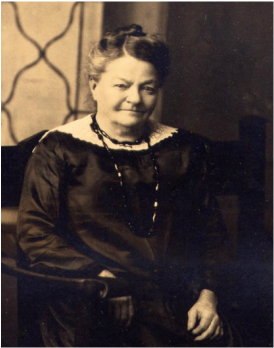 Fanney May-Knight died November 5th 1908 at age 74 in Assiniboia West, Saskatchewan, Canada. (11) Her body would be brought back to Northumberland County to be buried at the Bowmanton cemetery. She is buried in the Bowmanton Cemetery, Haldimand, Northumberland County in Ontario, alongside her husband Richard. (12) Bur. Bowmanton Cemetery, Haldimand Township, Northumberland, Ontario. 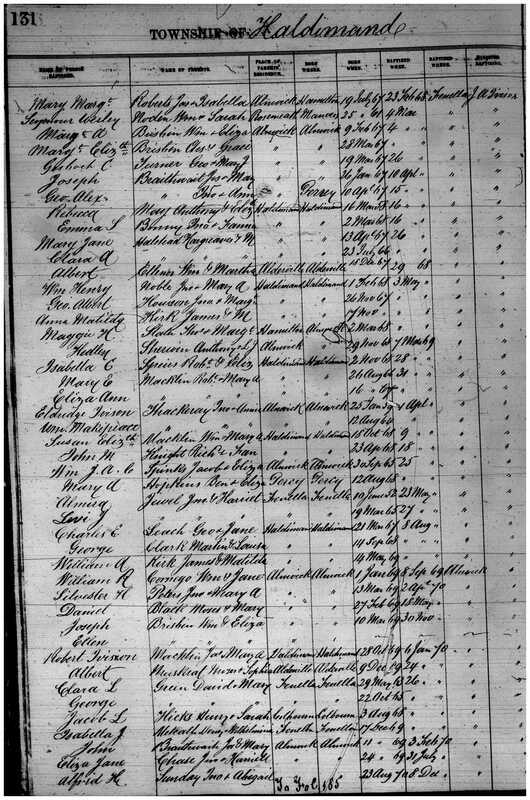 (14) M. 1877 Knight William M/Bonney Martha J "Ontario Marriages, 1869-1927," database with images, FamilySearch (https://familysearch.org/ark:/61903/1:1:FMNF-14G : 11 March 2018), William Knight and Martha Jane Binney, 18 Dec 1876; citing registration , Percy, Northumberland, Ontario, Canada, Archives of Ontario, Toronto; FHL microfilm 1,863,649. (15) D. 1883 Bonney Martha and twins"Ontario Deaths, 1869-1937 and Overseas Deaths, 1939-1947," database with images, FamilySearch (https://familysearch.org/ark:/61903/1:1:JDK6-X4M : 9 March 2018), Wm. Knight in entry for Martha Knight, 09 Jan 1883; citing Cramahe, Northumberland, Ontario, yr 1883 cn 11599, Registrar General. Archives of Ontario, Toronto; FHL microfilm 1,853,240. (16) M. 1885 Knight William M/Elford Margaret J "Ontario Marriages, 1869-1927," database with images, FamilySearch (https://familysearch.org/ark:/61903/1:1:FMJZ-TN7 : 11 March 2018), W May Knight and Margaret Jane Elford, 07 Jun 1883; citing registration , Warkworth, Northumberland, Ontario, Canada, Archives of Ontario, Toronto; FHL microfilm 1,869,763. 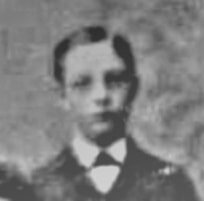 (18) M. 1885 Knight William M/Oliver Mary E still searching. (19) D. 1921 Knight William May "Ontario Deaths, 1869-1937 and Overseas Deaths, 1939-1947," database with images, FamilySearch (https://familysearch.org/ark:/61903/1:1:JD88-VFJ : 10 March 2018), William Knight, 14 Nov 1921; citing Haldemand, Northumberland, Ontario, yr 1921 cn 24009, Registrar General. Archives of Ontario, Toronto; FHL microfilm 1,863,542. ​ William May Knight was born on August 6,1854, in Bowmanton, Haldimand Township, Northumberland County, Ontario. (13) He was the first child of Richard Knight and Fanny May-Knight. He can be found with his parents and siblings on the 1871 census. In 1877,(14) at age 22 he married Martha Jane Bonney, also 22, in Percy Twp., Northumberland, County, Ontario. She was the daughter of Thomas and Martha Bonney. By 1881, there are three children in the family; two girls and a boy. William first wife died January 9 1883 during childbirth. (15) The twins, William May and Tabitha Martha Jane both died shortly after the birth William February 23 and Martha April 9. William would marry for a third time. Mary Elizabeth Oliver, daughter of Aaron Oliver and Elizabeth Morish from Haldimand Township. I have yet to find a marriage certificate for them. (18) Mary came from a large family like William and besides taking the responsibility of his three children; Edith, Richard and Julia, they also had five of their own; Aaron, William, Vera, Fanny and George. The 1891 census has him with his wife Mary and five children. Two more boys have come into the world. William and Mary would have more children and in 1901 two of the children from the first marriage are still there, but there are five others as well. The eldest daughter from the first marriage is not present here. By 1911 Only the three youngest are present with the family, and by 1921, he and Mary are alone. ​ Born January 12th 1856, in Bowmanton, Haldimand Township, Northumberland County, Ontario. (21) Mary Rebecca Knight was Richard Knight and Fanny May's second child and my great grandmother's elder sister. She remained with the family until 1875, when she married William Ostler Bland, son of Thomas and Jane Bland. She and William had seven children from their union; William, Alfred, Alice, Eliza, Charles, Clara and Richard. At least two of their sons moved to Saskatchewan before 1906. Alfred and Charles are listed in the census for Saskatchewan, Assiniboin West, Townships 12 to 18 inclusive in ranges 13, 14, 15 west of the 3rd Meridian. ​ Mary and William would remain in Northumberland County until after 1906,(23) when they moved out west to Success, Saskatchewan. They can be found in the 1916 census. (24) Mary and William now 60 and 64 respectively are living with their son Richard. Their occupation is farming. Their name appears in Reflections : A History of Cantuar Area on page 95. This speaks more about their children but does mention their migration to the west at the turn of the century. The last information I have for Mary and her husband is the 1921 Census. (25) They were living in a wood frame house they owned in Swift Current near her sister Frances. She is 65 and William is 67. Mary Rebecca died in Swift Current Saskatchewan in 1923,(26). She is buried in the Mount Pleasant Cemetery in Swift Current. ​ This is my great-grandmother on my mothers side. There is a lot more information on the above link. Once you are on her page there is a long history of her life. All her children (5) are mentioned on this page and linked to their own separated page. To visit them just click on the link for the appropriate child. Ann first appears in the 1861 census at one year of age, as the youngest child of Richard Knight and Fanny May-Knight. Another Ann appears in the census of 1871 and listed as the last child. The first Ann would be Eliza Ann born June 26 1860 ​who fits with the profile according to the cemetery headstone at Bowmanton. There is a child buried with her brother Richard Thomas, with the name of Eliza Knight. She died February 4th, 1864 and her age is listed as three years of age. Ann would have been three in at least part of 1864. The stone is in poor repair and has been repaired but there is a crack across the date for the death. ​ I believe the Ann that is mentioned in the 1871 census at one year of age is actually Emma Locricia, born in 1870. The inscription on the stone was difficult to decipher, but I was able to make out a few word decrying the grief of her parents. ​​ ​ Richard Thomas Knight was Richard and Fanny's second boy and fifth child. He would not reach adulthood. He was born February 21st 1863 while they lived on the family farm in Bowmanton. He died the 11th of August 1876 at just 13 years of age. He appears on the 1871 census at 8 years of age with his family. The remnants of an old gravestone are all that remain at the Bowmanton cemetery. Only a few words are visible in the inscription that I can make out. Time has eroded the stone. *Both Eliza (Ann) and Richard appear on at least one Canadian Census and are buried in the Bowmanton Cemetery. Other than that I have no birth or death records for them. **Back Row: John Miller, Benjamin, Emma Locricia Second Row: Frances, Henry "Harry", Sarah Jane, Mary Rebecca Front Row: Frances, Catherine "Kattie"
She and her husband John "George" Timlin, son of James and Ann, married in Northumberland County and remained at least until the birth of their first son William Henry. He was born March 2nd 1884 in Haldimand, Northumberland, Ontario. I am unable to find them in the censuses after that and do not know what happened to them. I found other Timlin family members but not Catharine "Kate" and George. I was able to find a death certificate for the one and only child I found of theirs William Henry in 1931 in Toronto. I will continue to look for Kate and the family and have put some feelers out there for anyone to respond. I cannot find a second marriage for Catharine but do find other children and her name becomes Tinney at some point. In census' after 1891 she and her husband now listed as John George Tinney are living in Woolwich, Ontario. In 1921 They are living in Guelph. According to what I can find, Catharine died June 18 1931. She was living in Toronto at the time. She died from inoperable stomach cancer. Catharine is buried at St. John's Norway Toronto East, Ontario, Canada under the name Tinney Section 11 Range Her address was 13 Willow Avenue. brother Benjamin Knight was the informant of 1098 Davenport Ave. Toronto. ​If indeed John George Timlin and John George Tinney are the same person, and so far it appears so, then the couple had ten children, five boys and five girls. John's father, Richard, was working in Toronto at the time as a tailor and had reached the age of sixty-seven. Fanny was eleven years his junior at fifty-six. John was the oldest of the boys still living at home. It is quite possible that Richard's health was failing, as he died the following year. I was unable to find Emma L or Henry "Harry" Knight in the 1901 census. Perhaps they remained in Toronto. The family purchased land out west and would soon move again to Homestead out there. In the 1906,(34) census for "The Territories", they can be found: District: SK Assiniboia West District (#12) Subdistrict: 25 B (Townships 15, 16, 17 and 18 inclusive in ranges 22, 23 and 24 west of the 2nd M). According to information from one of the Prairie Family History books "A Dipper Full of Dreams -- Drinkwater and District", John first went out to homestead in the Sunny Hill district, East of Brierhurst. He then went back to Ontario and returned with his aging mother and youngest sister to keep house for him. His mother, Fanney died in 1908 and her body was returned east for burial. His younger sister Sarah Jane died in December of the same year. John married Ella Gladys VanVolkenburg (Vanoolsonburg in the above book). The book also says in 1908 but I have December of 1907. She like many others was originally from the East. They had three children while in Sunny Hill; Gladys, Roy and Ray. They then moved to Drinkwater where two more children, Thelma and Harold were born. Next they moved to Cardross and had three more children; Zena, Inez and Gordon. (35) In 1933 they settled in Moosejaw, Saskatchewan. John and his wife Ella can be found in the 1911 census for Moosejaw, with their two year old daughter. Emma Locracia Knight, born was born February 3, 1870 in Bowmanton, Ontario. (36) There was some confusion as to her birth as she is referred to as Ann in the 1871 census. 014061(York) Albert E. DEALL, 21, painter, Toronto, Toronto, s/o John & Eliza DEALL, married Emma KNIGHT, 21, Haldimand Tp. d/o Richard & Fanny May KNIGHT, witn: Christopher Black and Sarah Larunne, 3 December 1888, at Toronto, Methodist Church of Canada Rev. W Haryett . After the death of her father, the rest of the family would move back to the area near Cramahe, in Northumberland County, Ontario. Shortly after that her mother, older brother and younger sister moved to Saskatchewan. She remained in Toronto. Albert and Emma would have seven children from their union, four boys and three girls; Ida, Florence, Henry, Hector, Eliza, John and Albert. Her oldest daughter died as a child. NOTE: There was a Clive Tinney visiting at the time, further confirming that John George Timlin and John George Tinney are one and the same. I loose track of Harry until he turns up out west. The following was gathered from a homesteader book. He then met a Ellen Jane Smith who had moved recently to the area from England. The two were married had two children. An infant boy died in 1916 and a daughter Annie was born in 1919. They remained in the area for two or three years then moved to the Grassy Creek area. Henry and his wife Ellen and two year old daughter were still in Saskatchewan in 1921 as per the census. (44) They were living on a farm in Grassy Creek Saskatchewan Secton 3 Tp 8 Range 17 Meridian Number 3. Had immigrated the in 1907. ​Ellen died in 1930 but Henry lived until 1956. "In the Early days of 1911 or 1912, We Caswell thought his homesteading shack deserved a coat of paint. To do the job he hired his neighbour, HarryKnight, who by his own admission was an experienced painter. Wes was away the day the paingint was on and on his return was looking forward to seeing his newly painted home. Instead his abode looked like ithad been wetted down by a drenching rain! It was still the same bronw colour with an oily look. Mr. Knight had brushed the entire building withoutstirring the paint. Next day after a trip to Cantuar to buy more paint, Wes instructed his "experienced painter" in the art of stirring paint." ​ Sarah "Jane" Knight, second youngest of the Knight family was born February 16, 1875, in Haldimand, Northumberland, Ontario. She appears on the censuses with her family from birth on. Jane would move out to Saskatchewan with her mother and two brothers, John and Benjamin and can be found homesteading there on the 1906 census. I have found very little about Jane to date. Benjamin married a widow by the name of Mary Peak February 23, 1910. (52) What happened to her is unknown, but I am unable to find them in the census for 1911, however her turns up in the 1921 census,(53) lodging with his sister Emma Knight-Deall in Toronto's downtown area. He is employed as a tailor, following in his father's footsteps. ​He was also on the voter's list in 1935 and 1949 at the same address. (55)(56) I also found what I believe is Benjamin in the voter's list for 1949. (57) Here he is at a different address and living with Ann Knight, so I am not sure. ​I have a date of 1955 for his death but have yet to prove it.